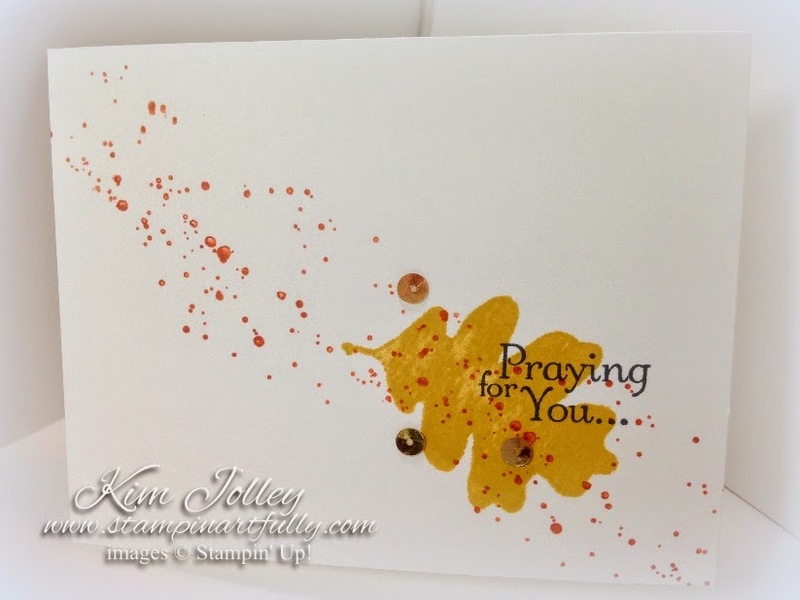 Simple Sympathy Card & New Weekly Deals! I found out a few days ago that one of our client's husbands had passed away. As I read the beautiful tribute to his life written by his wife, I knew I needed to send her a card. 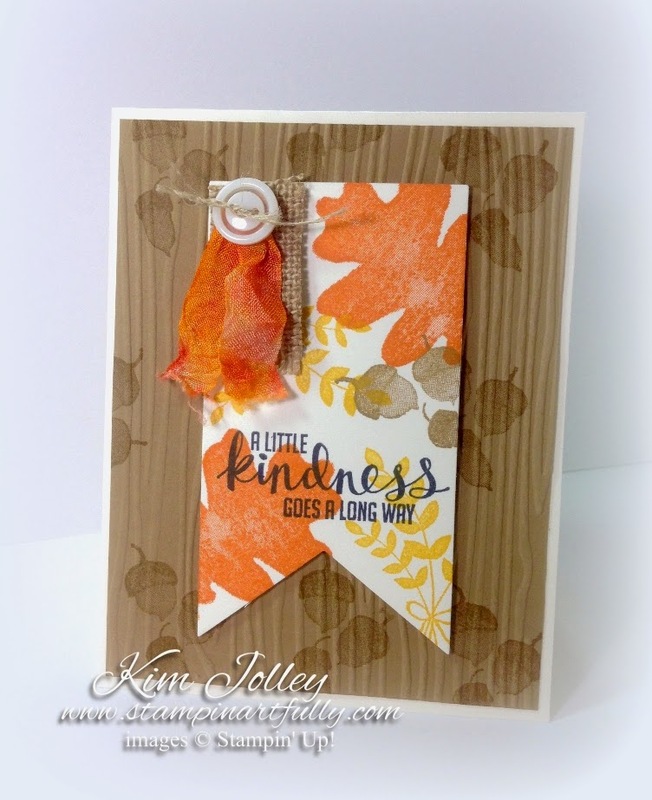 This is a one layer card that is simple, but elegant. With falling leaves on the horizon, I thought it fitting to use a leaf image for this card. New Weekly Deals start today and end October 13. Save 25%! 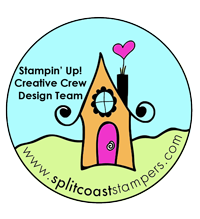 Check out the latest goodies Stampin' Up! has on sale. All of the items are "worthy", but don't miss this chance to pick up the Silver Glimmer paper for your holiday cards! Please use the current hostess code listed at the top right of this page, or if your order will total $150, be your own hostess and earn hostess benefits! Order $300 or more, (your order or combined workshop order with your friends) and earn the wonderful stamp set pictured below along with all of your other hostess benefits. Contact me with any questions. Neutral Elegance PLUS Last Day To Stamp, Stock & Save! I just love beige tones mixed with silver. This card & small gift bag set was very simple to put together. The shiny silver tree & the word Noel were made by sticking a piece of 3M aluminum foil tape to a piece of card stock, then cutting it out like you normally would. The tree was embossed with the Stampin' Up! Wood Grain embossing folder. Nothing special was done to the word Noel, that's just the way it turned out. Last day to save on paper, stamps & ink! Sale ends today...with holiday card making just around the corner, this is a perfect time to either stock up or pick up the ink & paper colors that are on your want list at 15% off. Select stamp sets on sale at 20% off. Click here or see the individual items below. Please use the current hostess code listed up on the top right corner of the page, or if your order will total $150, be your own hostess and earn hostess benefits! 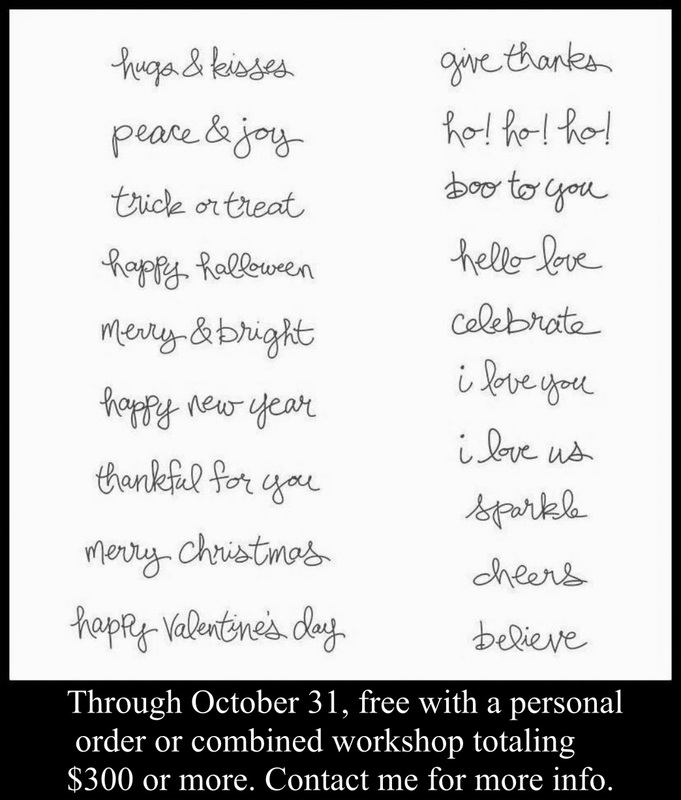 Order $300 or more (your order or combined workshop order with your friends) and earn the wonderful stamp set below, along with all of the other hostess benefits. Contact me with any questions. 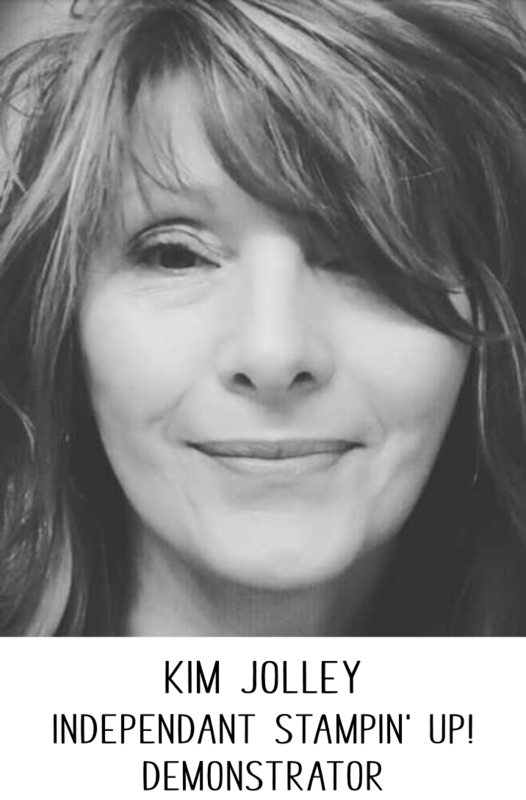 Follow this blog or follow me on Facebook, Pinterest or Twitter to keep up with my latest news, events and projects. Links are on the right sidebar of this page. 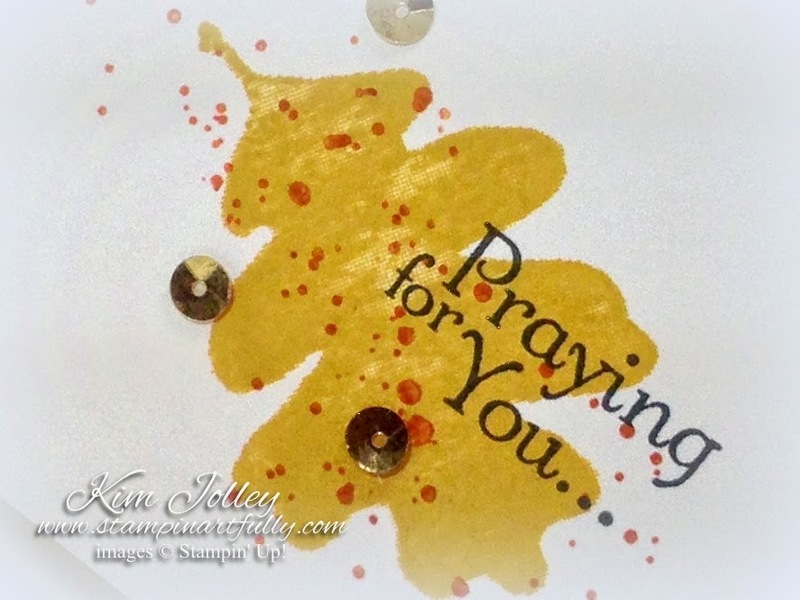 The very cool thing about having all of the ink choices with Stampin' Up!, is that there are so many opportunities to use them. And the very best thing about this? Until October 6th, ALL ink pads below are 15% off! See the nifty ribbon on this card from my post earlier today? If you have ink pads and Very Vanilla Seam Binding, you can achieve this look quite easily. Put down something to protect your surface, I use the Stampin' Up! Silicone Craft Sheet. 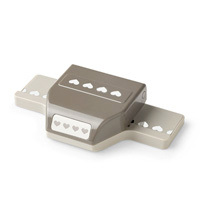 (this little jewel has tons of uses!) For the above ribbon, I tapped a bit of the Pumpkin Pie ink directly on to the Craft Sheet. Then just beside that, I tapped a bit of Cajun Spice ink. Then I spritzed the ink with water, just a bit, enough for it to bead up. Now for the fun/messy part: just lay/drag/smoosh the ribbon...whatever technical stamping term you want use...in the water & ink mixture. I did more of the Pumpkin Pie, then kind of wadded the ribbon up and dabbed at the Cajun Spice. Once the ribbon had color all over, I wadded the ribbon up inside a paper towel to get the extra moisture out of it. You can speed up the drying time with a hair dryer or heat tool, but it really does dry pretty quick on it's own. I love the wrinkled look, but you could easily straighten it out for a flat look. When I am thinking clearly, I wear a surgical glove when I do this. Unfortunately, menopausal women don't always think clearly. But that's OK, people say I look great in orange! Items used are below, but the links showing the sale prices on certain items is a bit further down the page. Please don't hesitate to let me know if you have any other questions. If you need ink...paper...envelopes...adhesive at 15% off and select stamp sets at 20% off, please follow the links below. As always, this woman with the orange hands appreciates your business! 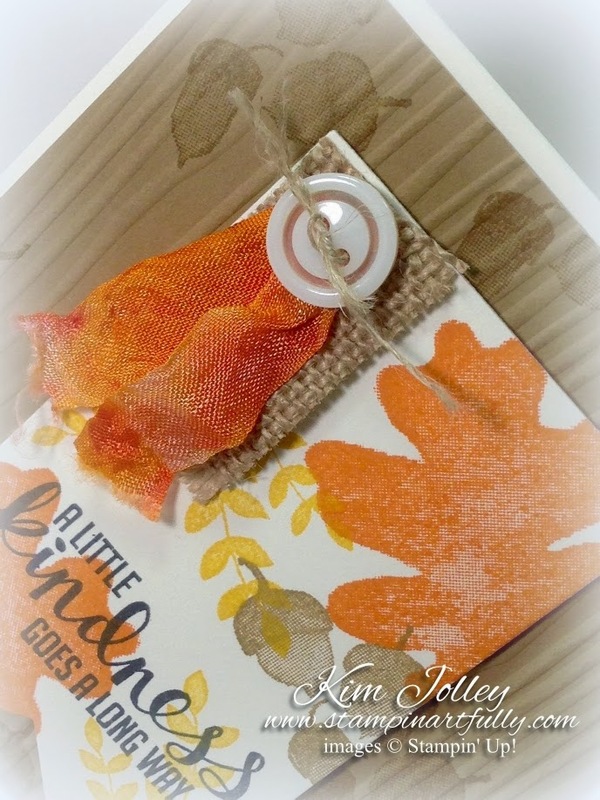 A simple fall inspired card. Love the banner die and completely love the fact that I can dye, (yes DYE) the Very Vanilla Seam Binding to match my project. 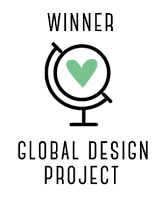 If you have any questions about how I did it, please contact me. Follow this blog or follow me on Facebook, Pinterest or Twitter to keep up with my latest news, events & projects. Links are on the right side of this page. 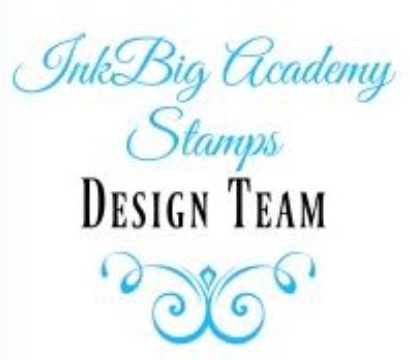 Just in time for the holidays...Stampin' Up! happens to match all of the lovely ink colors! Follow this blog, or follow me on Pinterest, Facebook or Twitter to keep up with my latest projects, events & news. Links on right side of this page.